About the author: Hi everyone! My name is Mindy and I have a health and fitness YouTube Channel called GetFitwithMindy. 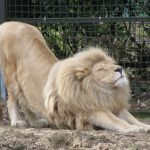 I am very honored to be asked to write a guest post on flexibility training and its benefits for overall fitness and health.